Speaking at three and attending six observances honoring the Rev. 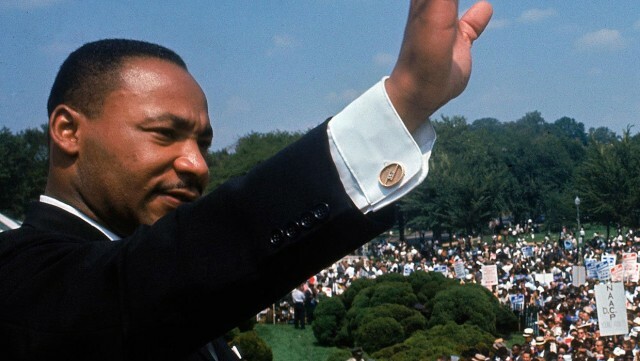 Dr. Martin Luther King Jr. has been nostalgic and insightful related to interfaith engagement. The nostalgia has come from reflecting on my role as part of his security corps and knowing he was a marked man who lived every day believing unarmed truth and unconditional love will have the final word in reality. We face challenges today, but nothing like we did in the 1960s, which should be a source of inspiration. Insight came in remembering the Civil Rights Movement gave birth to the Interfaith Movement. Leaders from all faith traditions were moved by compassion and resonated with the message of justice being a prerequisite to peace. They would simply show up and willingly march on the front line. Interfaith dialogue, statements such as Nostra Aetate, growing out of the Second Vatican Council, and local interfaith organizations and programs would follow. We follow the same model in the sense that our focus is not on religious doctrine or correct belief, but acting in response to our neighbors in need. At the heart of all religious traditions we find a call to compassion, to thinking beyond ourselves, to recognizing we are all connected and to actively caring for one another. Today, this includes standing in solidarity with our Muslim sisters and brothers, assimilating children fleeing violence in Latin America, welcoming Syrian refugees, responding to acts of hate and violence, affirming Black Lives Matter, and working to make our county a Hunger-Free Zone. We are building on the life and legacy of Martin Luther King Jr. by practicing what we believe. When we focus on correct belief, we can face division and discord even within our own faith traditions. We can also vilify each other and blow each other up in the name of God. When we focus instead on creating the Beloved Community, as envisioned by Martin Luther King Jr., where every human need is met and human rights respected, then we provide an antidote for the division, prejudice, hatred, and violence of our day. Let us be grateful for each other and the sense of solidarity that is growing as we, like those in the 1960s, show up believing unarmed truth and unconditional love will have the final word in reality.